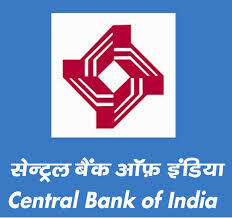 Central Bank of India has published Advertisement for below mentioned Posts 2017. The Central Bank of India (CBI) is inviting applications for filling up the post of Office Assistant for RSETI (Rural Self Employment Training Institute) Kota on contract basis for the Year 2017-18. The last date for receipt of applications is 4th October 2017. Other details like age limit, educational qualification, selection process, application fee and how to apply are given below. Essential: Shall be a Graduate viz. BSW/BA/B.Com with computer knowledge. Desirable: Knowledge in basic accounts & bookkeeping. Should be a resident of the same or nearby district/residing at the headquarters of RSETI centre. Address the application, Subscribing “Application for the post of Office Assistant at RSETI centre Kota on contract for the year 2017-18” to Senior Regional Manager, Central Bank of India, Regional Office, Opposite to MBS Hospital, Civil lines, Nayapura, Kota, Rajasthan.